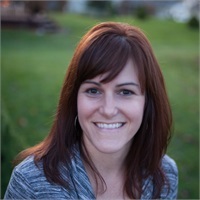 Shawna joined Retirement Solutions in November 2010 as Operations Manager. In addition to being the go to person for paperwork issues; Shawna is great with in assisting in estate matters, helping our client’s families quickly breeze through the probate process. She graduated from Memorial high school, Madison, WI. Shawna lives in Madison with her family. She loves to spend time with her family and friends camping all over Wisconsin. In the summer, she can be found spending as much time outside as possible engaged in her favorite hobby, gardening. She also enjoys, cooking, bicycling, and playing baseball, football or tennis with her children. Like a true Wisconsinite she likes to grill out with friends on the weekends.